“In The Park” has visited Wonderland Amusement Park on the near east side and White City on Indy’s north side. The last stop on our tour of bygone Indianapolis amusement parks takes us to the near west side. 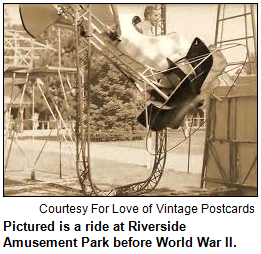 For over sixty years, Riverside Amusement Park sat adjacent to Riverside City Park at 30th Street between the White River and the Central Canal. 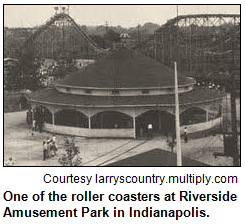 In 1902, Frederick Ingersoll of the Pittsburgh Construction Company teamed with Indianapolis entrepreneurs J. Clyde Power, Bert Feibleman, and Albert Lieber (maternal grandfather to famed Hoosier author Kurt Vonnegut) to develop an amusement park adjacent to Riverside City Park. 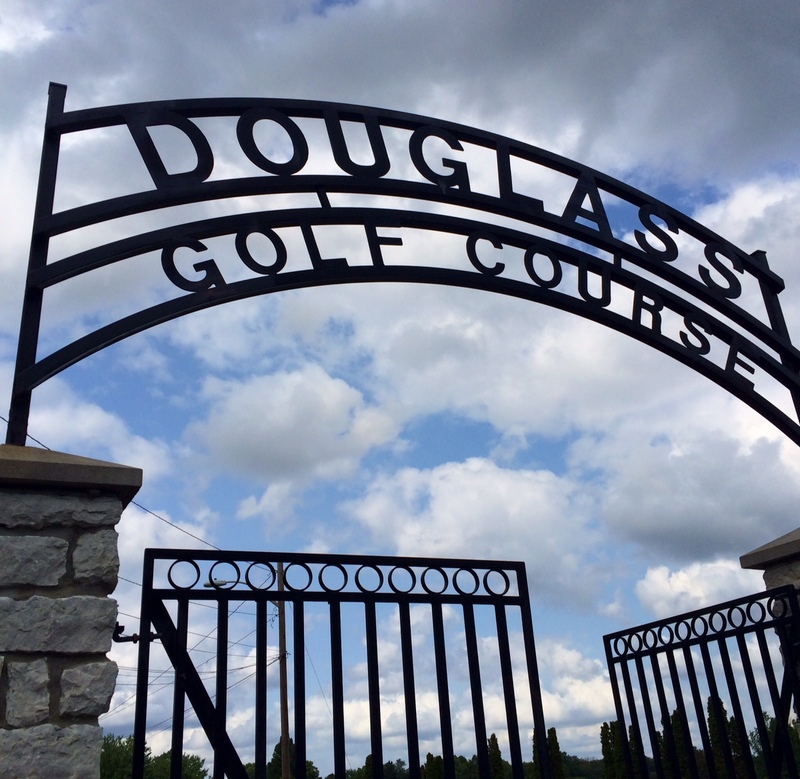 This location was unique—the regional park drew many visitors looking to escape the hustle and bustle of city life, visit the animals at an early version of a local zoo, or play golf on one of the three public courses that sprang up between 1900 and 1904. 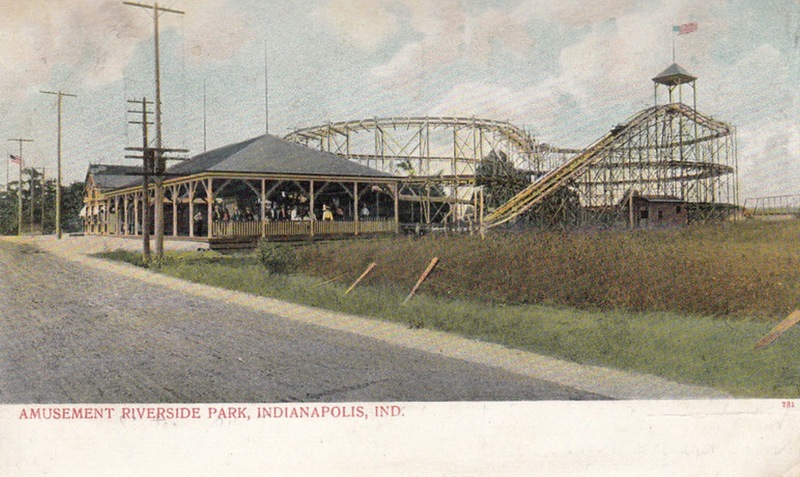 Indianapolis historian Connie Zeigler described Riverside Amusement Park’s early years in her work “Indianapolis Amusement Parks, 1903-1911: Landscapes on the Edge.” She notes that the park’s owners opted to forego an admission fee, instead charging for each attraction individually. Patrons traded their dimes and nickels for a turn on the Circle Swings, a trip through the Walking Glass Maze, or a pony ride. 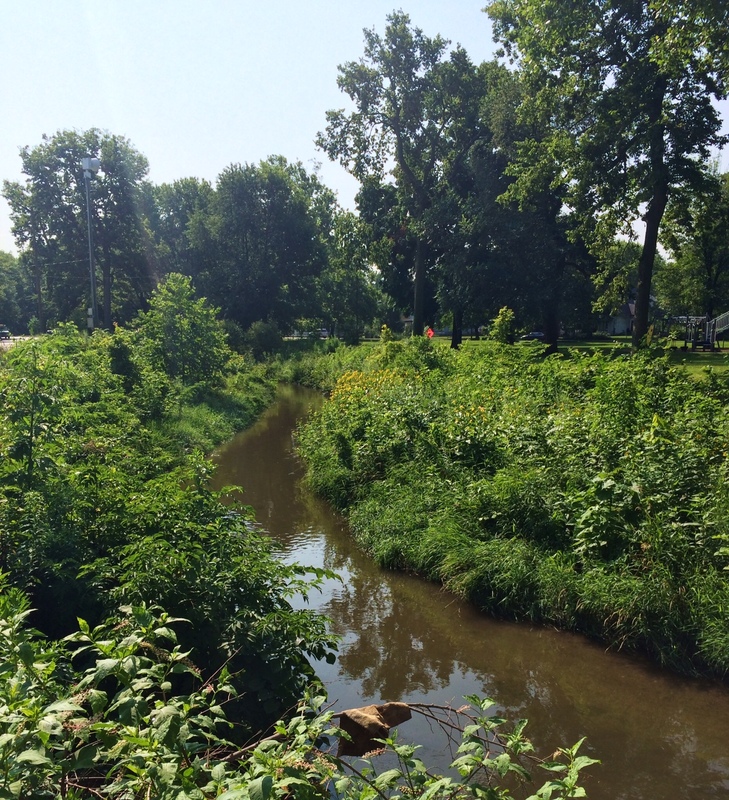 The banks of the White River provided a place for visitors to sunbathe, swim, and launch sailboats and canoes. 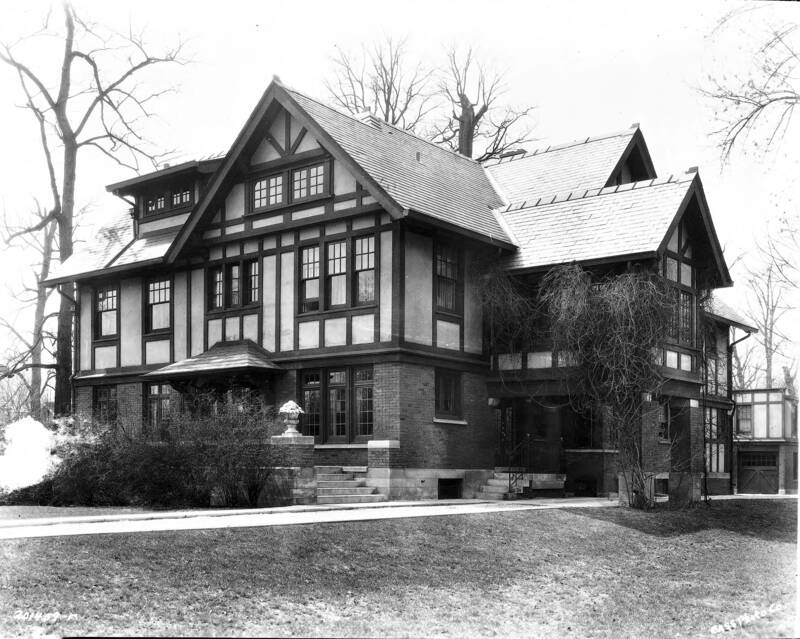 Local businessman J. S. Sandy took over management of the park in 1906. In an effort to compete with Wonderland and White City, he hired 120 men to expand his park. New rides, such as an electric carousel, a miniature railway, and a “Gee-Whiz,” were constructed. The enterprising owner also hired entertainers like Buckskin Ben’s Wild West Show, Famous Cowboy Band, and The World’s Largest Trained Steer. Once Riverside had new attractions, Sandy’s next task was to get people to and from the park. He arranged for additional streetcar services to the area, and by the beginning of the 1906 season, a trolley car arrived at the entrance almost every three minutes! This likely contributed to the Park’s astounding attendance record on May 6, 1906: Sandy claimed that 30,000 visitors passed through Riverside Amusement Park’s gates that day. Zeigler notes that this figure is questionable, as this would have represented almost one-fifth of Indianapolis’s total population at the time! In 1910, one of the park’s most memorable attractions opened: a six story diving tower, providing a place for young daredevils to show off in front of their friends and potential love interests. On August 27, 1911, the swimming area was the site of a model battleship and airship skirmish called “Battle A.D. 2000.” Unlike White City and Wonderland Amusement Parks, Riverside opted to erect fewer mechanized rides and capitalize on existing assets–namely its easy access to the water. Though both competitors were consumed by fire a few years after their opening, they were not financially solvent, having spent large sums on the newest and most exciting mechanized attractions. They would have likely would have gone bankrupt, had they survived. Lewis Coleman took the helm of Riverside Amusement Park in 1919 and added rides, including: Dodge ‘Em Cars and two roller coasters—The Flash and The Thriller. Coleman’s son, John, headed the park from 1939, until its eventual demise in 1970. The younger Coleman was known for being deeply patriotic and held special events on Memorial and Independence Days. During World War II, the park remained open later at night to accommodate second-shift factory workers. Riverside saw a surge in attendance shortly after World War II, but the popularity of the personal automobile opened up new recreation opportunities for the people of Indianapolis outside the city limits. While the swimming and boating facilities remained popular, the rides began to fall into disrepair and required costly improvements. In an effort to boost attendance, a flat admission price was instituted. Adults paid $1.50 on weekdays and $2 on the weekends. Children under age 11 were admitted for $1; those under five were free. The park’s “White’s Only” admission policy marks an embarrassing chapter in the city’s history and for this park. 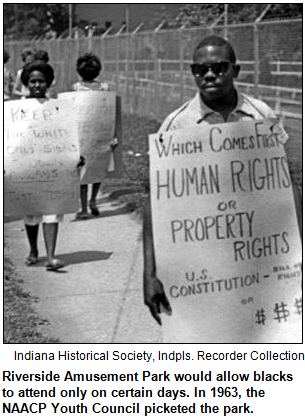 The park was only open to non-white patrons on infrequent “Colored Frolic Days.” In 1963, the NAACP Youth Council protested the park for its discriminatory practices. The next year, Riverside Amusement Park changed its admission policy to allow “minority” visitors. However, the park’s image never fully recovered from the public controversy; it closed at the end of the 1970 season. Orders were issued for the remains of the amusement park to be razed in 1978. Today the land is used for residential purposes. Gwen Sunkel is a connoisseur of bad first dates and a collector of ticket stubs. When she's not catering to the every whim of her dog and two cats, she enjoys reading, yoga, building communities, dismantling the patriarchy, and falling in love with Indianapolis. Very interesting article! I remember going to this park in the mid 1950’s when I was around 10 years old. Also remembering being uneasy with the “segregation” policy and not really understanding what that was all about. But, because the sponsoring group was dedicated to helping children, the racial aspect and the deteriorating park ended the event, again, year uncertain. I remember going to Riverside every summer. That is what summers were for in the late 40’s qnd 50’s. I think the first time I went was in 1949 when I was seven. I suppose we went every year thereafter. I think there was a skating rink there too. I remember the sparks above the dodge ’em cars and the motorcycle daredevils reverberating around the thunder dome. My uncle took me to Riverside in the mid-forties. It was like a first ‘date.’ When I was nineteen he did set me up with a handsome blonde policeman who took me out in a canoe. My mom had taken me there in the early forties. She had no way to heat our hotdogs, so we ate them cold. Ugh. I was totally unaware of the shameful segregation which was probably typical of that era. 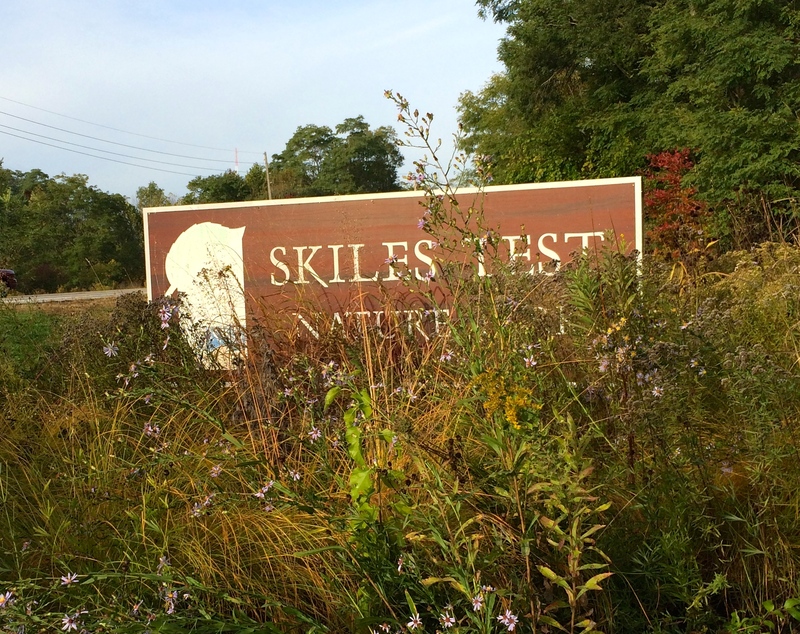 Interesting commentary on these former parks and recreational areas. So many of them end with the property being leveled for a variety of reasons and now “just part of the city” as to being residential. How close The Indianapolis Motor Speedway came to having the same fate. It’s interesting to reflect on how an article like this would have been written had the Motor Speedway been demolished after WWII and the 16th and Georgetown area become just part of residential Indianapolis. Thank goodness that didn’t happen. I lived on Harding street and Burdsal Pkwy until I was about 9, but enjoyed Riverside Amusement Park until early teens. (early ’50’s). I remember my father taking me when I was quite young to an amusement park for younger kids across from Riverside Park call “Little America”. Any info on that? Love to share any experiences with anyone during those years. I live in Denver but visit Indy regularly.